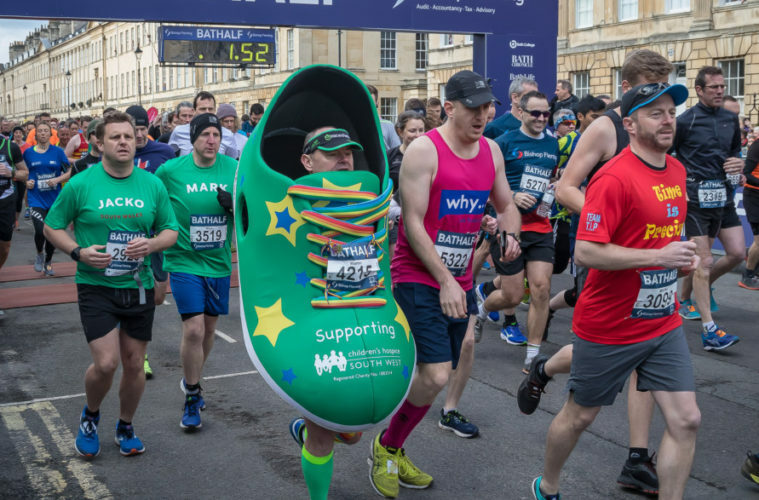 Children’s Hospice South West (CHSW) was delighted with the support it received at Bath Half 2019. The charity had a huge team of 240 runners, which included 49 runners from Bath-based Rotork. CHSW provides palliative, respite and end of life care for children and families from Bath. Hollie Thorogood, the charity’s Events Fundraiser, said, “We were delighted to have been the Local Charity of the Year for the 2019 Bath Half Marathon and what better way to celebrate than by having 240 Team CHSW runners; our biggest team yet! The support all along the route was phenomenal and we hope to have just as big a team take part next year! CHSW hopes to raise £65,000 from the event, which could go towards paying for 24-hour doctor care for one year at one of its hospices. With three hospices across the South West – Little Harbour in Cornwall, Little Bridge House in Devon and Charlton Farm in Bristol – it costs over £10.5 million a year to keep its hospices open, and it’s thanks to its fundraisers and supporters throughout the South West that it can continue to provide exemplary care.